So it's a new week! I'm done with 12 weeks in-field training! Woo hoo~~~ Also, it's Transfer Day for the mission today! Guess who's moving to an new area? Yeap, that's me! I will be moving from San Min to an area called Qi San. It's about 30 mins away from San Min. I will be going there right after this email so I couldn't tell you much about the new area yet. My new companion, Sister Haupt and I are opening up this new area. There hasn't been sister missionaries there for 4-5 years. So it will be interesting. Kinda reminded me of being in Spokane Mission when sister White and I had to open up new area in Pullman!! Last week has been so good that I was afraid of the movecall to tell me I will be leaving. 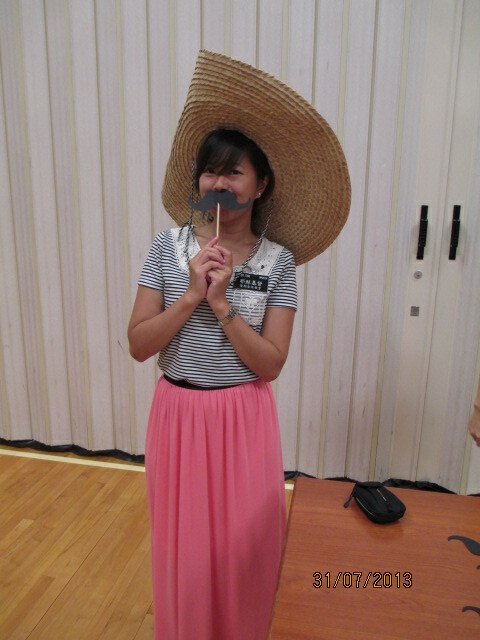 I love the people here in San Min and my investigator Sister Dai is getting baptize this Saturday!!!! But the Lord always knows when we start feeling comfortable and it's time to stretch a little. When I know that I will be leaving (but not knowing where I will be transfer to), I am so sad and said a prayer at night to ask Heavenly Father help me to have a testimony to wherever I am going to know it is where He wants me to be. The next morning after knowing I will be going to Qi San and open up new area, I can't help but feeling nervous. I read in Alma 34:23: "... may God grant unto you that your burdens may be light , through the joy of his Son.And even all this can ye do if ye will." It comforted me that, as long as I am willing , I can do it wherever it is. Also, I do have a testimony moving to Qi San. 2 weeks ago, my companion and I met the Bishop from Qi San on the road. He and his wife talked to us for a while. 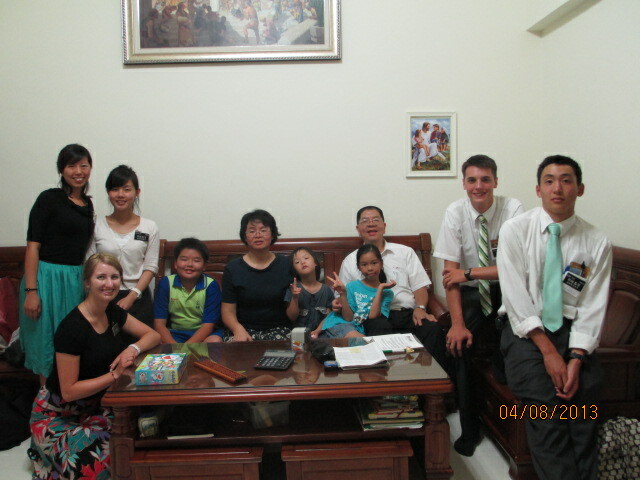 He said that there will be sister missionaries moving into Qi San this move call. We all jokingly said that maybe one of our companionship will be moving there and that's me! President, I know that you are indeed called by God and follow the prompting of the Spirit. And trust that being in Qi San is where the Lord wants me to be right now. Our Dictrict- half of us are moving to new area this transfer! Movecall English Class activity - Spanish Party. My trainer/ mother - our new sister training leader! She is awesome and I love her too. 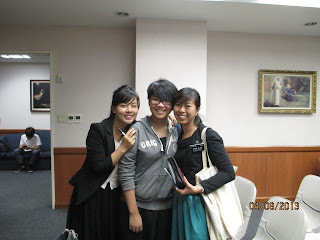 With Sister Dai..She is getting baptised!!!! Lin family. 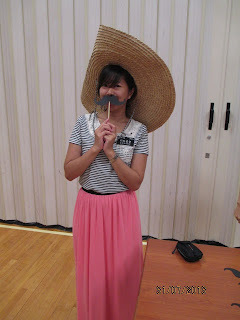 Brother Lin is our ward second counselor and Sister Lin served in Young Women Presidency. They are awesome family! My invitation for you this week : Said a prayer to ask Heavenly Father a specific question or help you hope to get answer from him before reading the scriptures. I promised you will see some of the words that He wants to tell you. I love you all and pray for you. Hope you are doing well and happy!